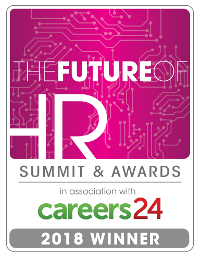 SmartHR, HR technology, is owned and developed by Absalom Systems (Pty) Ltd. and is the HR technology company of choice for many of South Africa’s blue chip companies including Deloitte, DHL, Reed Exhibitions, Hannover re, Exarro and AB Inbev, amongst others. Absalom Systems holds the intellectual property rights to SmartHR, which means we can customise our solution to your requirements. And because we’re a South African company, we provide outstanding remote and on-site support that international companies cannot. We are devoted to helping each and every one of our clients dramatically increase their business growth and performance through improved people management systems and processes. SmartHR is one of the most comprehensive human resources management systems on the market today. More than that, it’s a nerve centre for maximizing human potential and performance across your enterprise. SmartHR collects human resources information that’s scattered over disconnected, independent systems, spreadsheets or databases and places it in a central database, ready for use at a moment’s notice. It also taps into your line-of business systems through synchronised, seamless integration technology. your entire workforce in a completely new light. And you’ll have at your disposal specialised tools to transform that new insight into outstanding operational competency and efficiency. So with SmartHR, your HR processes become more meaningful and intimately linked to your strategy for success. We have over 20 years of experience and capability, and over the years we’ve helped hundreds of businesses and thousands of satisfied users grow, save time, save money and boost productivity and we’d love to make you our next success story.